The Cybermohalla (Cyber Neighbourhood) Project is a community of young practitioners who share each other's thoughts, ideas and creative energies in media labs located in working class areas of Delhi. The young people who come to these media labs are between the ages of 15 to 23. At the labs, they work with media forms (photography, animation, sound recordings, online discussion lists and text) to create cross-media works, texts, collages, posters and wall magazines. Their writings and images can be seen as a rich database of narrative, comment, observation, imaginative play and reflection on the contested circumstances of life in the sprawling urban metropolis of Delhi. The project has been developed collaboratively by Sarai (read more about Sarai after the animations & credits below), a programme of the Centre for the Study of Developing Societies and Ankur - Society for Alternatives in Education. The Cybermohalla Project addresses the interface between information technology and creativity in the lives of young people who live in a highly unequal society. 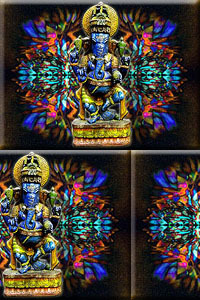 The representative animated GIFs below are extracted from the CD-publication of the project. Media Lab @ Lok Nayak Jai Prakash Colony: Azra Tabassum, Babli Rai, Bobby Khan, Shahana Qureshi, Shamsher Ali, Sultana, Suraj Rai, Manoj Kumar, Masooma Ansari, Mehrunnisa, Naseem Bano, Neelofar, Rabiya, Yashoda. Media Lab @ Dakshinpuri: Dhirender Pratap Singh, Kiran Verma, Kulvinder Kor, Lakhmi Chand Kohli, Love Anand, Nisha Kaushal, Polina, Raju Singh Malyal, Rakesh Kumar, Sangeeta Kumari. Accompanying the Installation titled "Before Coming Here, Had You Thought of a Place Like This?" The authors and publishers of these books / CD welcome their free usage and repurposing within a global digital commons. Please keep us informed of any instances of usage. 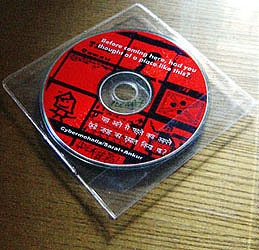 Sarai (www.sarai.net), a programme of the Centre for the Study of Developing Societies, Delhi, is South Asia's first public initiative on urban culture, media and daily life. Established in 2000, Sarai includes both scholars and practitioners who collaborate with a wider community in generating critical research insights and knowledge in the public domain. The past few years have witnessed the explosive growth of a new urban media culture in India, transforming the terms of popular culture and communication as it is lived at the level of everyday life. Sarai is an effort to understand and creatively intervene in this rapidly changing media context. Sarai's interests include new media theory, computers, the Internet and software cultures, urban cultures and politics, cinema history, documentary filmmaking, digital arts and critical cultural practice. Sarai collaborates locally and internationally with individuals, universities, cultural bodies, and civil society organisations within the broad framework of a commitment to a critical public domain. Our regular public activities include seminars, workshops, and presentations by visiting media artists and curated film screenings every Friday. Workshops in the past have included those on Free Software and Networking, Tactical Media, Interface Design, Net Cultures, Digital Art Practice, Hindi language and the New Media, Cinema and Information Politics. Sarai regularly collaborates with other cultural institutions to organise workshops, presentations and exhibitions. The Media Lab is the creative hub of Sarai. It is a space where all the different energies activated at Sarai find expression through a range of media practices that are concretized as processes (of experimentation, collaboration, training, and research), as discrete media objects (print, graphics, web, multimedia, sound, digital art, video and photography) and as the setting for creative encounters between the Sarai community and visiting practitioners, as well as between different nodes within the overall design of Sarai. A complete list of productions (new media, installations, print and sound) undertaken at the Sarai Media Lab can be found below. The Sarai Media Lab regularly hosts local and international artists. On an average we have had 4 residencies each year. Residents at Sarai can take advantage of both a vibrant and stimulating space that attracts a wide range of people from students to academics to media practitioners, and of Sarai's network with other institutions that share a common interest in Delhi and all across South Asia. The Interface Zone brings together various components of Sarai's engagements with the public, on to accessible platforms. (This includes people who come for workshops, seminars, screenings as well as artists/practitioners/theorists who come on short-term residencies as well as general visitors to Sarai). The Interface Zone also renders the work of the Archive (collections), the Media Lab (productions and creative work), and the various research programs (texts and intellectual/ academic resources) public in an accessible form. The virtual interface that is loaded on to the computer in the Interface Zone is designed to let the visitor to Sarai have a hands-on feel of the kind of work we do, the issues that we are interested in and to allow for interaction with us and with Sarai projects in various stages of development. It is also a public platform for the sharing of ideas, knowledge and creativity, a digital bulletin board for posting messages about issues that people feel strongly for, and an evolving resource that can be built and sustained by the community that grows around Sarai. Here, the visitor can browse, read, look at and interact with multimedia works and web resources that are curated and downloaded. A media project concerned with performative community cultures. Research, combined with work towards a media art project based on 8mm Home Movies in Bangalore. A series of strategies for public interventions in Bangalore as a response to the communalization and parceling out of public space, using storytelling, street installations, bioscopes, sound recordings, graffiti, stickers and photography. The project aimed to record a set of sound events from the city space and recompose these events through interplay between the sound recording and subsequent hearing. A media project to interrogate the delicate politics of status, gender and caste that lie at the heart of the three-line matrimonial advertisement. Documentation and analysis of interesting and rare instances of typography throughout the city of Bombay. A documentation of the lives and music of itinerant street musicians in Mumbai, with a focus on the impact and response to the music generated by the Hindi film industry. An investigation of the practice, form and experience of photography within Delhi Bazaars. A collection of photographic records and interpretations of the exterior and interior ambiences of cinema halls in Delhi. The project, supported by the Australian Network for Art and Technology (Adelaide, Australia), involved interactive installations utilising experimental interfaces, video, sound, contemporary performance art and Indian Classical dance forms. It was conceived and explored at the workshop conducted by Monica Narula of Sarai, Sarah Neville, Australian Dancer and Media Choreographer and Mari Velonaki, Australian Media and Installation Artist. by Inke Arns, New Media Artist, Germany. This workshop on New Media Art Practice was organised in collaboration with The British Council, India. Contemporary new media art from the UK was curated by Sarai members and exhibited in the Queen's Gallery at the British Council, New Delhi and in the Interface Zone at Sarai. Inke Arns, Curator and Artist, also made a presentation at Sarai on New Media Art in Germany. This was organised in collaboration with the Max Mueller Bhavan, Delhi. An Exhibition, Lecture and Workshop Programme, presenting facets of contemporary Internet Based Art Practice in Britain, curated by Honor Harger, Curator Webcasting, Tate Modern, London and Pauline van Mourek Broekman, Editor, Mute: A Journal of New Media Arts, London. This was organised in collaboration with the British Council, Delhi. by Michael Saup, Professor of Digital Media and Media Art, ZKM, Karlsruhe, Germany. This workshop for students was organized in collaboration with the Max Mueller Bhavan, New Delhi. Initialising History, by Peter Callas, New Media Artist, Australia, January 2002. The Kiss (sound and video artwork) and Time Lapsed (new media performance improvisation) by Dylan Volkhardt, Independent Media Artist, Australia, November, 2002.
conVerge: Where Art and Science Meet, by Amanda McDonald Crowley, Freelance Cultural Worker, Researcher and Curator, Australia, January, 2003. Media Art Interaction: The 1980s and 90s in Germany, an exhibition of new media art curated by Inke Arns. Dilliwale Kaun? Baharwale Kaun? A photographic exhibition on a digital platform by Syeda Farhana Zaman. Initialising History, an exhibition of the video art of Peter Callas. The Wrong City: Paris@Delhi, a multimedia installation by Olga Kisseleva. Traffic Media: Platform no 12, a multimedia installation by Renu Iyer, Sarai Media Lab. Traffic Media: Modem Telephone Line Parenthesis, a multimedia installation by Dylan Volkhardt. Street Walking, a photo exhibition by Pradip Saha. 28.28N / 77.15 E :: 2001/2002, an inter-media installation by Raqs Media Collective. Traffic Media: Modem Telephone Line Parenthesis, A multimedia installation by Dylan Volkhardt, Australian artist in residence at Sarai.